Honoring our Military Heroes The soldiers, sailors, airmen, marines, and coastguardsmen who serve in the military move beyond narrow self-interest, volunteering to put their lives on the line for freedom. 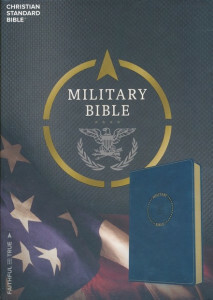 This particular royal blue cover edition is specifically for Airmen. Royal Blue LeatherTouch.